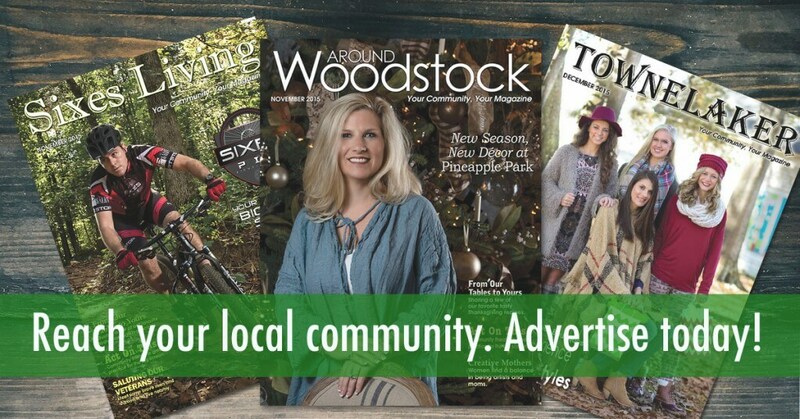 Thank you for your interest in AroundAbout Local Media – the TowneLaker, Sixes Living and Around Woodstock magazines – for your print advertising needs. We have served the community for 20 years with uplifting and positive community news presented in glossy, colorful publications. Each month we distribute 49,000 copies between our three magazines. The TowneLaker has served Towne Lake and surrounding communities for 20 years, with 16,000 magazines distributed monthly, 15,000 of those mailed directly to local homes and businesses. Around Woodstock debuted in 2004 and serves downtown Woodstock and areas east of the city with 16,500 copies, 15,400 sent in the mail. Sixes Living, in publication since 2000, covers the Sixes Road corridor east to Holly Springs and north to downtown Canton and Reinhardt College Parkway. Monthly, 16,500 magazines are printed, with 15,200 direct mailed. Advertising with us gives you an ideal opportunity to gain exposure within targeted communities.